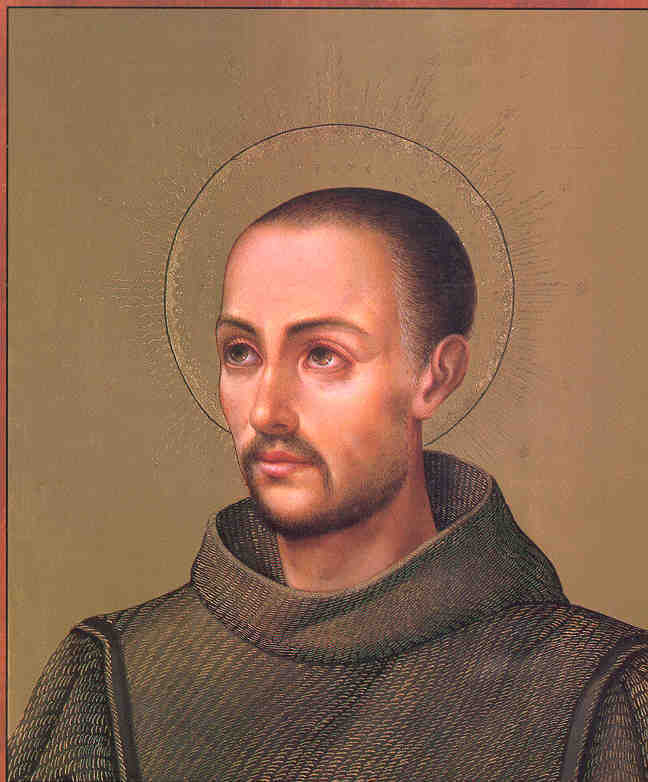 Saint John of God, whose baptismal name was João Duarte Cidade, lived an incredible life: on the streets alone soon after the tender age of eight, followed by the life of soldier and wanderer, through Europe, the Middle East, Spain, eventually ending upon amongst the poorest of the poor, apparently vocation-less at 42, when God Himself gave him the name ‘John of God’, and revealed to him that he was to care for the sick and the abandoned, in an age with no public hospitals. He started all by himself, powerful in body and spirit, picking up those quite literally in the gutter, bringing them to homes he rented with money he had to beg, often in debt, caring for them, either back to health, or to die a dignified death. He was like Mother Theresa four centuries later, but with even fewer resources and help. It is reported that often the Angel Raphael himself would take time out of his heavenly duties (insofar as angels are bound by ‘time’) to assist Brother John in his ministry. Eventually others joined, and a religious community formed, the Order of Hospitallers (given the added title ‘of John of God’ in 1572). After spending what remained of his life in a self-giving that beggars the imagination, John of God went to his eternal reward on his 55th birthday, March 8, 1550. The Order which grew up around him is now found in 55 countries, with 45,000 members, Brothers and Co-Workers, with countless other benefactors, all caring for the sick in mind and body, all from one solitary man’s decision to give what time he had left to others, in heroic charity. What God can do with what remains of one’s life can truly be miraculous. So despair not, have hope, and God will fulfil His will in ways that may surprise not only us, but everyone else. San Juan di Dios, ruega por nostros.